Philadelphia Phillies fans are excited for the team's debut. Check out the history of Opening Days and learn more about the projected starting lineup. PHILADELPHIA (WPVI) -- Opening Day is opening this week and there is a lot of buzz about this year's lineup. Excited fans are already hoping this 2019 team can take us back to the playoffs. Some are even saying this team will be good enough to take us to another World Series. There's some good news for fans who cannot wait to see Bryce Harper make his debut as a Phillie: March 28th marks the earliest season opener in Phillies history. The Phillies will be taking on the Atlanta Braves. The two teams have opened against each other five times in the past century. Twelve Phillies openers have gone into extra innings. 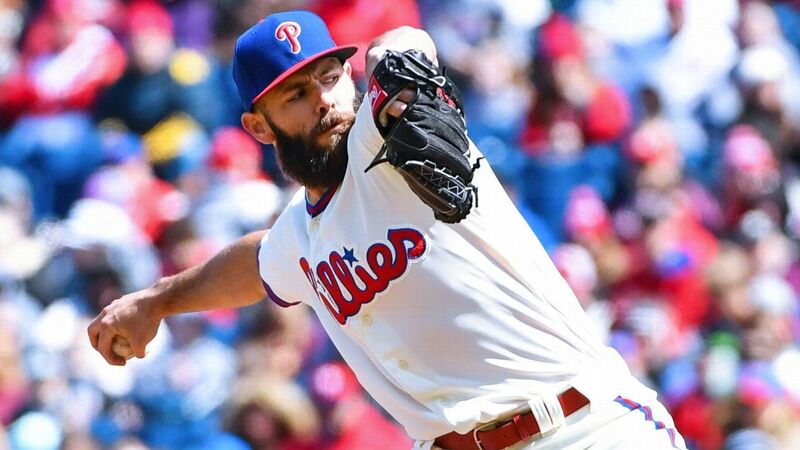 Overall, the Phillies are 61-73 on Opening Day. They've also tied twice, in 1923 and 1924. Watch the report from Bob Brooks on Action News at 5 p.m. on August 5, 2018. Bryce Harper, Phillies back home for Opening Day. Matt O'Donnell reports during Action News Mornings on March 26, 2019. This year's addition of Bryce Harper, J.T. Realmuto, and Jean Segura make the Phillies the first team in MLB history to add three position players in an offseason whom were all All-Stars in the previous season.